The magic of origami is in the transformation of a square of paper into something realistic, as well as the process one goes through to achieve the final product. 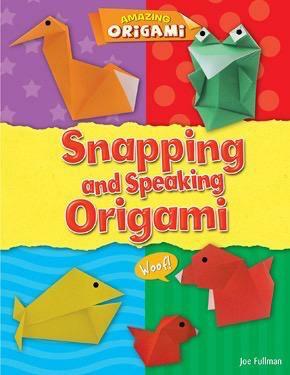 Readers are introduced to the basic origami folds and terms needed to complete each craft. Full-color photographs and clearly written instructions provide a guide to folding swallowing fish, pecking chickens, and more. Animals made out of paper can be just as fun to play with as action figures--especially those readers can make themselves!